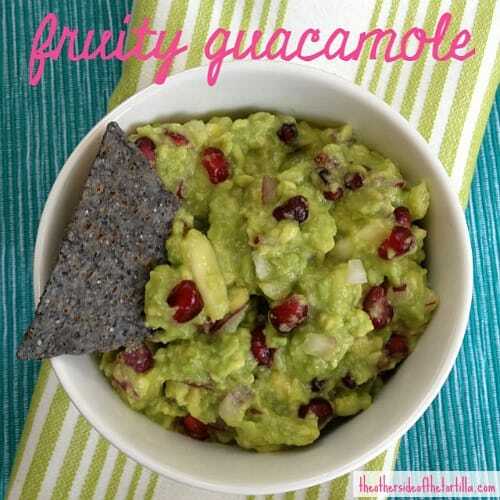 This fruity guacamole recipe with pineapple and pomegranate is gluten-free and vegan-friendly. 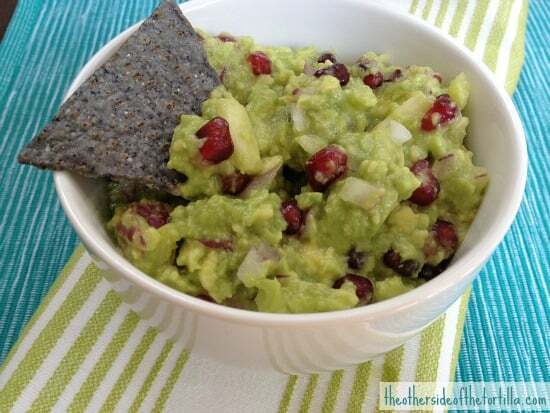 Pineapple and pomegranate seeds give a sweet and savory twist to a classic guacamole recipe. Cut open the avocados and spoon into a large bowl. Squeeze the juice of three limes over the avocado and mash coarsely with a fork. Add 1 teaspoon of kosher salt and garlic if using. Mix gently with the fork. Add the diced pineapple, red onion and jalapeño chile and mix again. Serve chilled. Can be made a day ahead of time. Here are my instructions on how to keep guacamole fresh and green if you aren't going to serve it immediately.